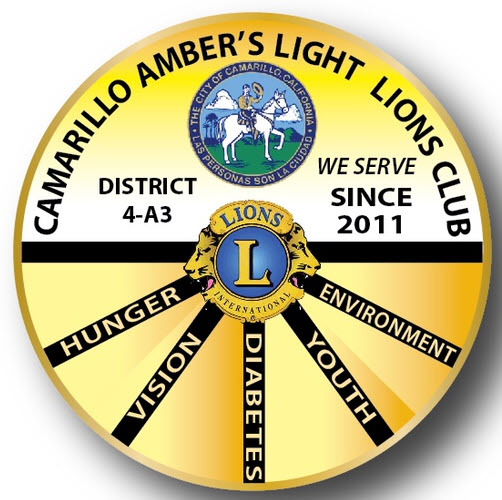 Welcome to Camarillo Amber's Light Lions Club. Our club chartered in February 2011 with the primary mission of raising funds to provide recreational equipment for handicapped children throughout Camarillo and the Pleasant Valley area. The club is named in honor of Amber Farlow, an 8-year-old Australian girl who was born severely handicapped but a joyful spirit and inspiration in spite of it. We have expanded our primary mission and have a wide variety of service projects and fundraising activities. See Club Project section for details. We welcome new ideas. The club meets at 6:30 P.M. on the second and fourth Mondays of the month at the Boys & Girls Club of Camarillo. We welcome visitors and prospective members. Club Motto: Keep Calm and Serve On!